Tanweer Ali came to UNYP at the beginning of 2003. He has taught courses in finance and mathematics, both in our bachelors and MBA programs. He is also a mentor with Empire State College, supervising bachelors‘ theses in the business administration major. Tanweer holds an M.A. degree in Mathematics from the University of Oxford as well as the CFA (Chartered Financial Analyst) and FRM (Financial Risk Manager) designations. During his time at UNYP Tanweer acted as the Department Chair for Business Administration for one year. 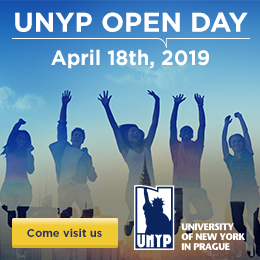 Before joining UNYP, Tanweer worked for a number of years in insurance, investment banking and consulting both in the United Kingdom and in the Czech Republic. In addition to his teaching work, Tanweer has been active volunteer with the CFA Institute in Virginia, serving in numerous roles. He also established the Czech CFA Society and was its first President. Tanweer has also functioned as a board member or advisor for a number of non-profit organizations, especially in the refugee and human rights fields. Tanweer was voted Outstanding Faculty Member by the 2005 graduating class.